If you know me or read my blog often, you know I'm a big Marvel fan, but as much as I love MCU and all the characters... there's one movie that became my least favorite from all. Honestly, I don't necessarily hate it, nor I love it as much as the others, this movie works okay I just hope it would be better... IRON MAN 2 (2010) it is. I'm not entirely sure what is it, but I just... think there's something off in this movie. As a whole, it didn't fit right. 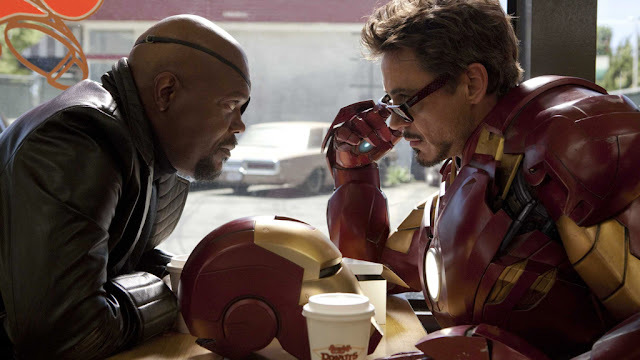 I have watched Iron man (2008) and Iron Man 3 (2013) for more than ten times, but with this movie... I don't reach as many as usual. I only watched it two times: first when it was on theatre which was my first time watching it, and second when it aired on HBO. This is actually weird because I love Tony Stark, I love the idea of Iron Man, and this movie was Black Widow's debut who is my favorite character... but yeah, guess it's not really for me.